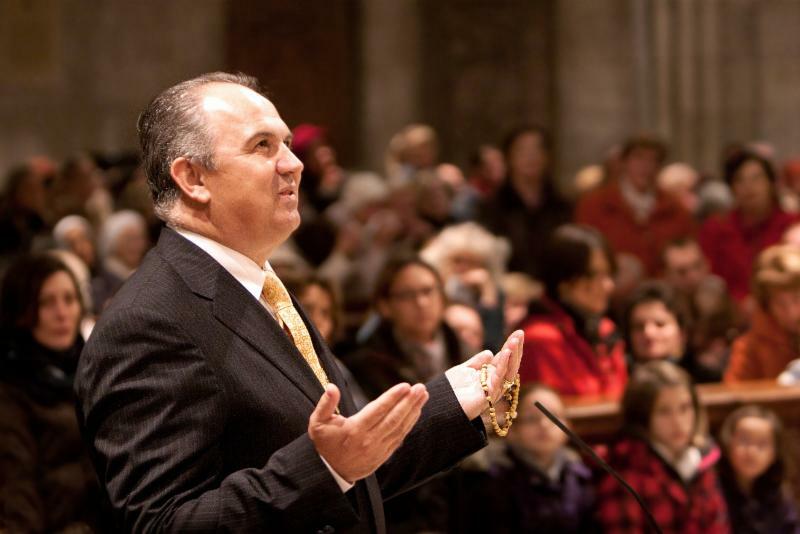 Ivan Dragicevic at St. Stephens Cathedral, greeting Our Lady! from Vienna’s St. Stephens Cathedral. Ivan Dragicevic, who still receives daily apparitions from Our Lady, will be joining from Medjugorje, as will Jelena Vasilj, Milona von Habsburg and members of the Cenacolo community. Juan Manuel Cotelo, director and star of the movie “Mary’s Land”, will speak about filming in the great Marian Shrines, including Medjugorje.Melinda Dumitrescu, Europe’s leading violinist, will be joining from Medjugorje! His Eminence Christoph Cardinal Schönborn will preside at Mass and give the homily. You don’t what to miss this beautiful time of prayer!!!! Please join in prayer through Mary TV’s live streaming…and receive Our Lady’s blessing when she comes! Mary TV’s viewership is growing every day! “I really want to thank the Lord for Mary TV because I had not heard about it. So now I can go back and promote it and tell the people: please, for spiritual input, listen to MaryTV and then I will be able to give them the website and everything.! “I knew about Radio Maria, but I didn’t know about MaryTV. Thank God for this initiative and may it continue to touch hearts, especially for those who wish and long to come here but are unable to. We pray that through Mary TV they too may be able to hear the message of God and be able to love Our Lady as the church loves her. Your donations are making it possible for Our Lady’s children around the world to be present with her in Medjugorje through Mary TV’s LIVE streaming. Thanks to your generosity Mary TV’s Medjugorje internet TV channel is broadcasting 24/7! However, we are still just barely able to cover the costs of the operations and programming; and often times we have to proceed near, or in the red. We pray every day for God’s blessing on our efforts, so that we may continue to serve Our Lady in this way, and that we will not have to scale back the programming and outreach. So, again, we respectfully ask for your financial support, and your prayers… that we can keep moving forward, serving Our Lady, and you, through our website and programming. It’s a huge undertaking, yet somehow we have been able to do it on a very, very tight budget and with a small but incredibly hard working staff. But that may not be fully sustainable into the future. Mary TV can only continue to provide all that it does if our donations increase, and we thank you again so much for your incredible generosity, and all the prayers offered on our behalf. Queen of Peace Ministries was for 25 years the sponsor of the National Conference on Medjugorje, at the University of Notre Dame. They have generously given us their mail list which includes the names of participants and attendees of past Medjugorje conferences. This list will allow us to let all those people know about MaryTV — that the Medjugorje TV channel is broadcasting 24/7, and the site includes comprehensive programming from Medjugorje that they will find enriching. Sending out a mailer to such a large mailing list is something we had not anticipated, but the opportunity is just too important to pass up…. Especially since Queen of Peace Ministries will no longer be sponsoring Medjugorje conferences at Notre Dame. This will give us a way to connect all those folks, who love Our Lady, to Medjugorje through Mary TV. The cost of such a large mailer, including the postage fees, is approximately $6,500. We can only take advantage of this opportunity if someone, or a few people, come forward with a special donation to cover this cost, or part of it…. Please pray about it. We do need word to get out about what MaryTV is offering. And this particular group of people, on the list have already shown an interest in and love for Our Lady of Medjugorje. We are finding out that so many people, who love Our Lady of Medjugorje, do not know about Mary TV!! 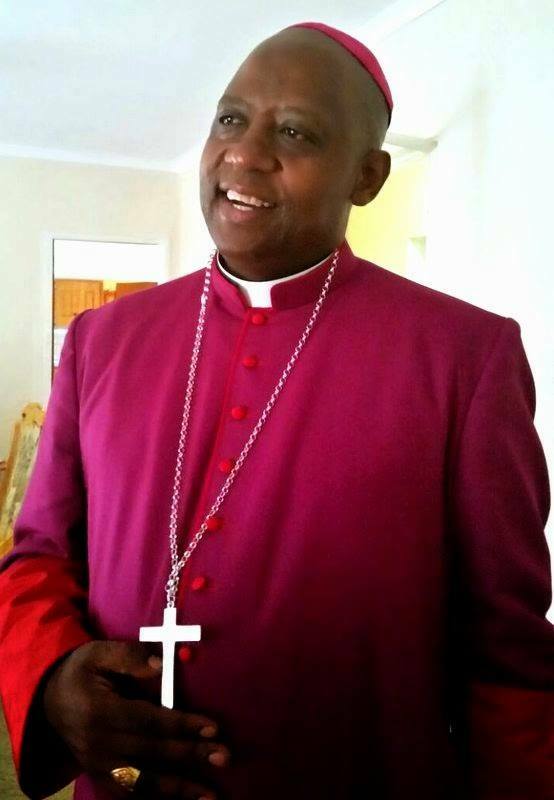 The day before yesterday Bishop Phalana was so happy to find out about Mary TV. We are trying to spread word about Mary TV as best we can, but marketing campaigns like this are incredibly expensive. 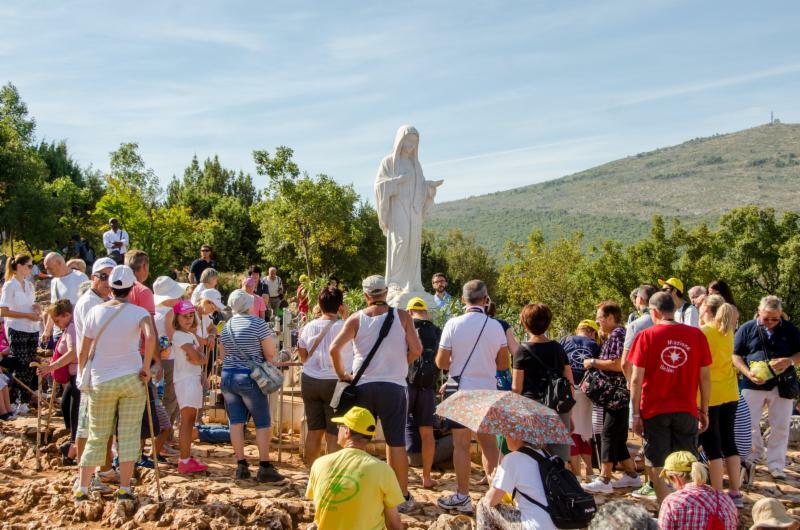 People are often shocked and LOVE finding out that from anywhere in the world they can be connected LIVE to Medjugorje…. “Pray for peace. Pray with the heart little children, and do not lose hope because God loves his creatures. He desires to save you one by one through my coming here!” (March 25, 2003). We are also designing some great Mary TV bumper stickers. Be on the lookout for an email from me, soon, with the information about these, and how you can get some for your cars and your friends!! There are still seats available to join Michael’s Medjugorje pilgrimage Oct 3 to the 14th (You can call him at 574 335 9952; email: [email protected]) Some airline tickets are still available at ½ the usual price. There seems to be heavy spiritual warfare surrounding this pilgrimage. The devil is afraid of the faithful going to Medjugorje. Our Lady has called us all …. Contact Michael! I’m sending one check for 2016 instead of one per month. Just a quick note to thank you both so much for still doing a live rosary every day when you are not home. My husband and I are so thankful, and in awe actually, at your beautiful commitment to our Lady and all of us who pray with you every day. I could not live without the daily rosary with you. I knew I would love it and really appreciated it as an option in my day, in the beginning, but had no idea how integral it would become to my spiritual life. Mary TV is really a beautiful, beautiful gift. A Grace from heaven actually. We so appreciate what the two of you do. I watch all Father Leon’s content too. He is amazing!!!!!! I could listen to him talk for hours. And the mother Teresa content is wonderful. I am going to play that on the TV screen for my family tonight. The sisters here had a beautiful Mass and celebration for her last Sunday at the Cathedral. They got to stay up all night and watch the coverage of the canonization on EWTN, a volunteer brought a TV in for them. They have no televisions and are not allowed to watch except for special occasions like this. So they were thrilled. Hope you are having a pleasant weekend away from home!!! Here are the links for online donations and our address! Any help you can give us is deeply appreciated and helps Mary TV to reach more people with Our Lady’s messages and presence in Medjugorje! (Make checks payable to “Mary TV”)Thank you so much and God bless you! PS. Please forward this newsletter to others – spread this good news and our appeal… But when do, it’s important you use the CONSTANT CONTACT FORWARDING option below “Forward this email“….otherwise if someone you sent it to hits “unsubscribe”, it’s your email address that will be taken off our email list. St. Padre Pio, Pray for Us!! Dear children! Today I am calling you to prayer!